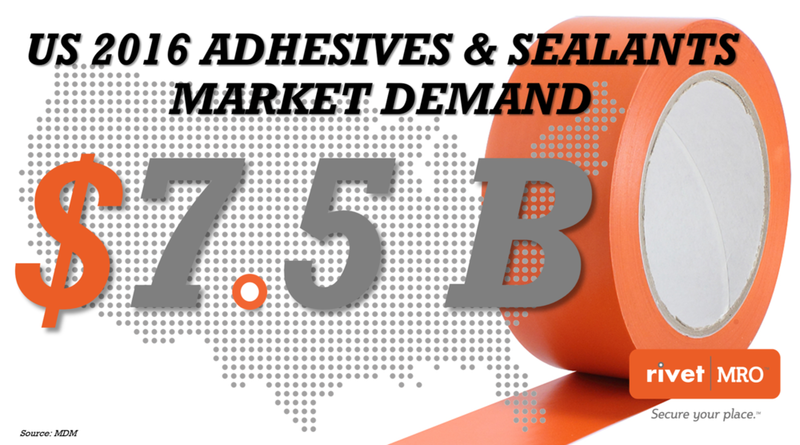 The 2016 US market demand for adhesives and sealants was $7.5 billion, according to data from MDM analytics. Demand was greatest in the Northeast Central, at $1.55 billion, followed by the South Atlantic, at $1.35 billion. The industry with the greatest demand was Plumbing, Heating & HVAC, at $694.6 million, followed by Corrugated & Solid Fiber Box Manufacturing, at $565 million.